Summer and s'mores go hand-in-hand. But lighting a campfire isn't always an option, especially if you live in the city, or an area with open fire restrictions. 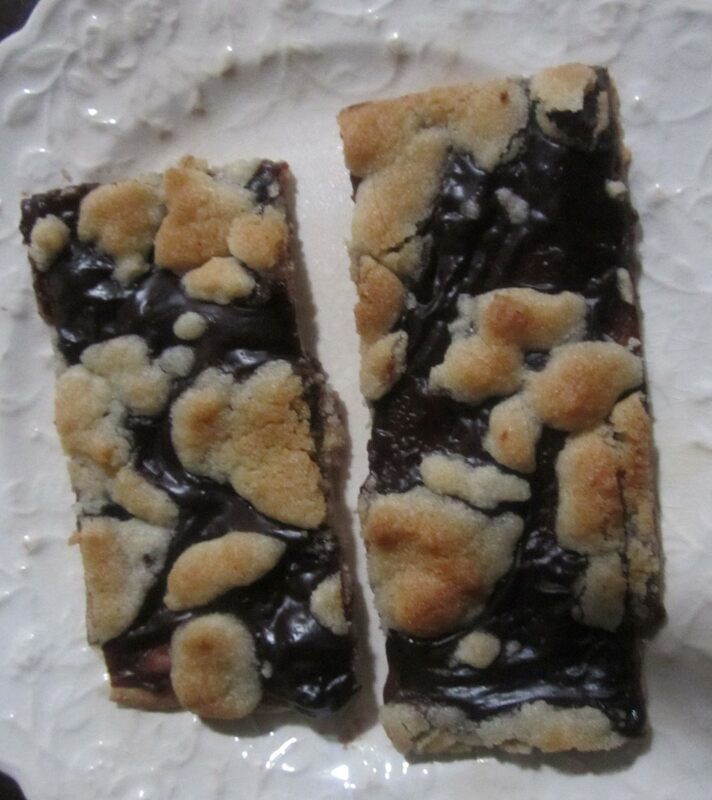 Since my family loves to make s'mores, but rarely have the chance to go camping or light up the fire pit, I've had to find a new way to enjoy these wonderful summer gooey goodies. Using a flour tortilla to make s'mores tacos adds another level of sweetness that I never expected, not to mention, it's not quite as messy! Wonderful news for those of us who have to make sure sticky fingers aren't touching every surface within reach. Aluminum foil on grilling rack. Loaded and ready to grill. 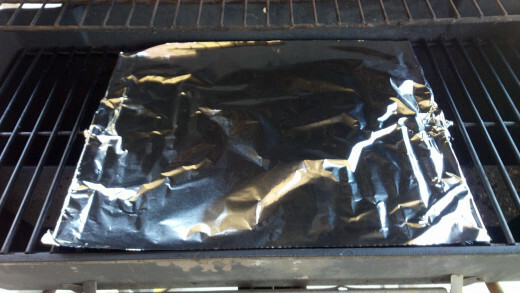 Add aluminum foil to the bottom rack of your barbeque before lighting. Light the grill and set to the lowest heat setting, this will help prevent scorching on the bottom of the tortilla. Close the lid and let it heat up while you prepare your s'mores taco. 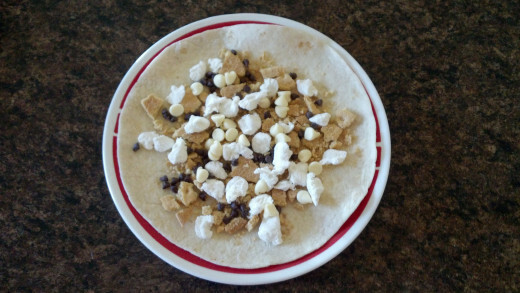 Lay out the flour tortilla, crush graham crackers and sprinkle on top of the tortilla. I use 1 whole cracker for each 8" tortilla. Add marshmallows; if using regular size marshmallows, pull them apart into small pieces, or use mini marshmallows. 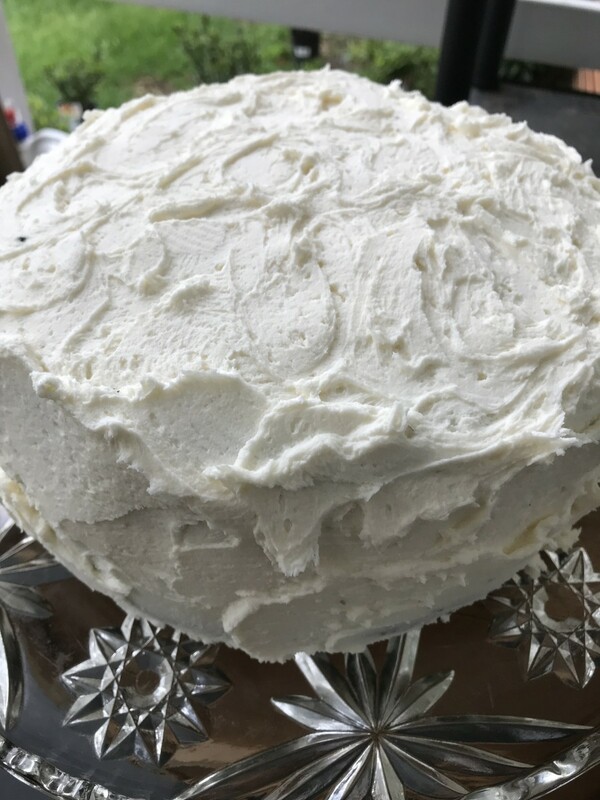 Keep in mind that the marshmallows will swell during the cooking process, so you don't need to completely cover the surface. I typically use 4 regular size marshmallows for each 8" tortilla. 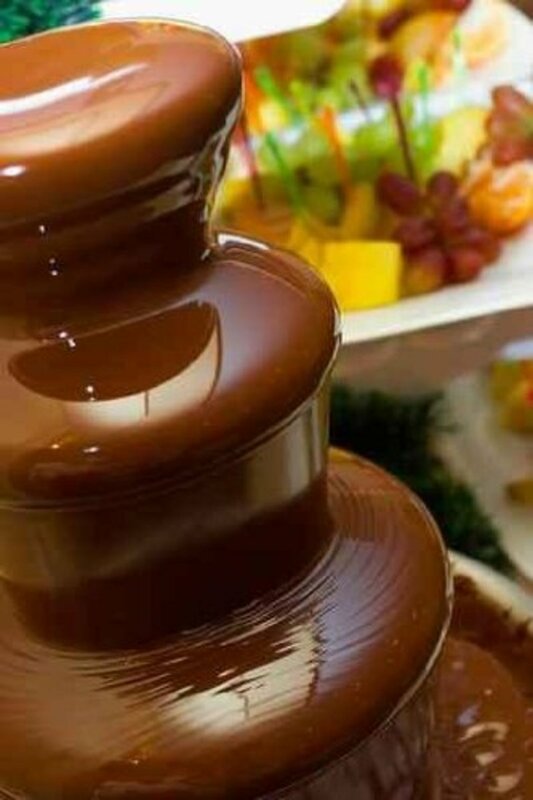 Add chocolate chips, choose the chips you like, my family loves the lighter chocolate, and I prefer white chocolate. 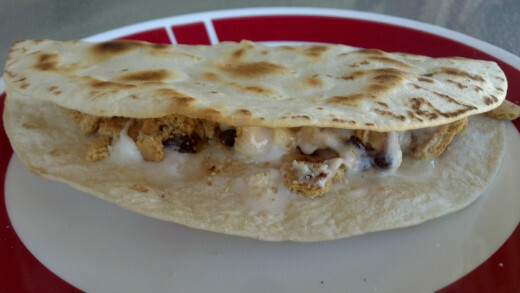 Since each person can make their own s'mores taco, everyone can make theirs to their own taste! 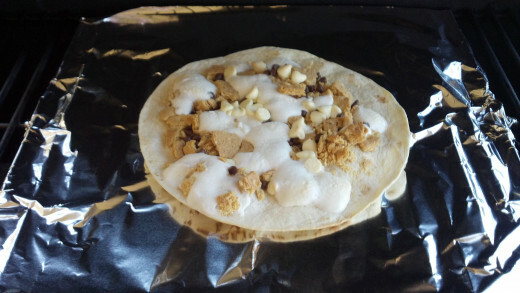 Carefully lay your prepared s'mores taco directly onto the aluminum foil, close lid and let cook for about 4 minutes and check. Use tongs to to check the bottom of the tortilla, making sure it's not getting too dark. Cooking is complete when marshmallows swell, don't worry if the chocolate isn't completely melted. Use the tongs to slide the s'mores taco from the grill to a plate, then carefully fold in half and let cool. The trapped heat from the marshmallows will continue to melt the chocolate chips. Cut into pieces or enjoy whole! Done cooking, ready to fold. Easy way to cook a kid favorite meal on the grill.